Learn how to make a 3D mushroom in this Blender tutorial for beginners! It’s a sad, familiar story: a game programmer wants to create a 3D game, but has no 3D models to use! 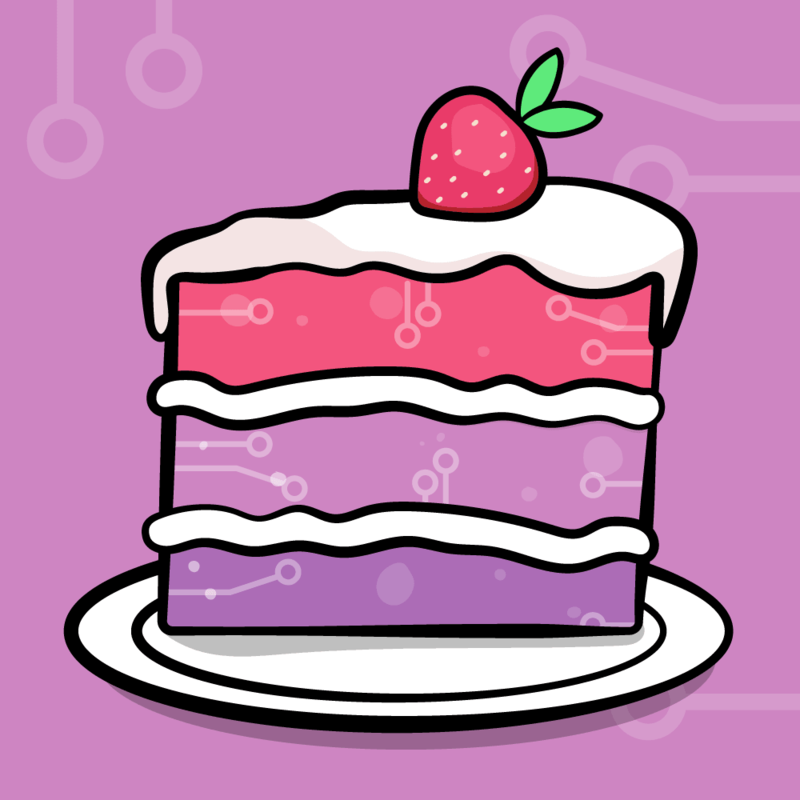 create your own — it’s not as hard as you think! If you’ve never touched Blender before but want to be able to make some simple objects for use in your game, look no farther – this tutorial is for you! 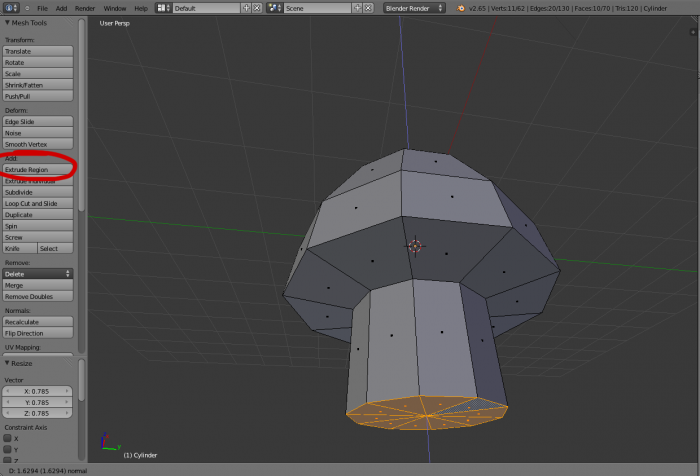 Blender is a 3D modeling program that was turned into an open source project when the originating company, Not a Number, went bankrupt. Since then, Blender has become the de facto modeling tool for indie developers. In this Blender tutorial for beginners, you’ll learn the basic setup of Blender by creating a cute creature you will undoubtedly recognize from the 8-bit days. 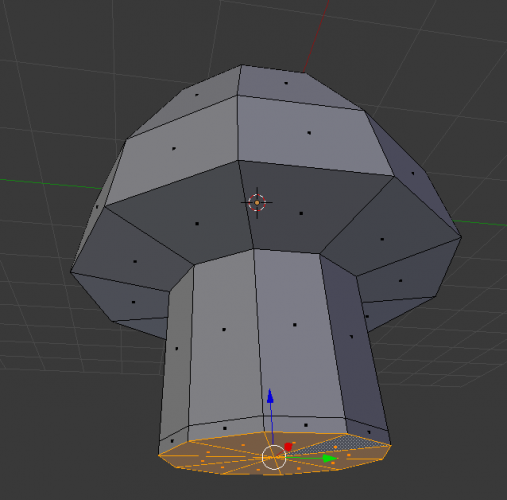 :] This tutorial won’t cover everything Blender can do, just the stuff you need to know to get started making objects and using them in games! 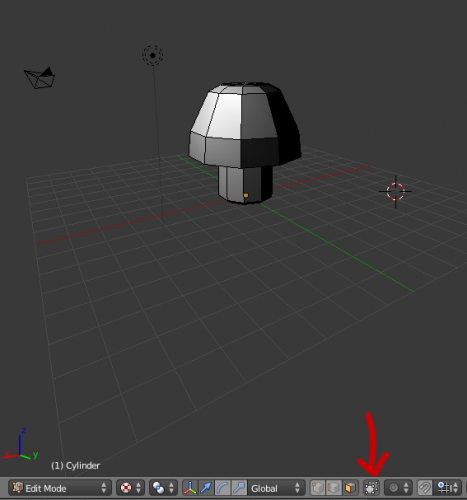 Note: If you don’t have Blender installed on your computer, download a copy here. Like other 3D modeling tools, Blender is a graphically intensive application; if you’re planning to install Blender on an older computer, check out the system requirements before installing to make sure your rig will run Blender without a lot of frustrating lag. Note: Don’t see the elements above? Simply select File > New to generate a new scene with the requisite starter objects. These objects are located in the 3D view that has X, Y, and Z axes. These axes help position and edit your objects in 3D space. To help tell them apart, the X-axis is red, the Y-axis is blue, and the Z-axis is green. The grid you see on the screen represents the XY plane, and the Z axis extends perpendicular to the XY plane. You can always confirm the orientation of your view by checking the mini axis in the bottom left-hand corner of the 3D view. 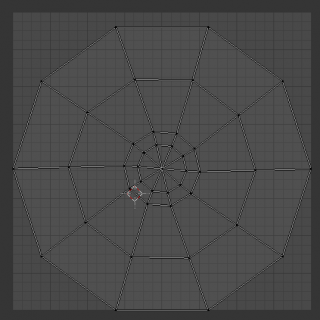 Outliner: lists all objects in your scene. Properties: allows you to edit the properties of whatever object or material you are working with. 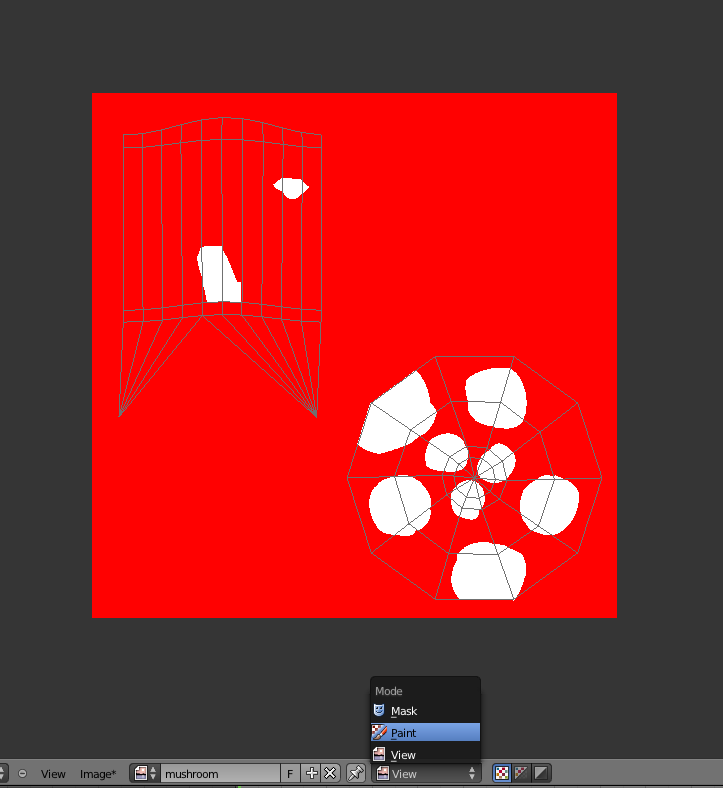 3D View: contains all the objects you’re creating. Note the toolbar at the bottom, you’ll be using this quite a bit later on. 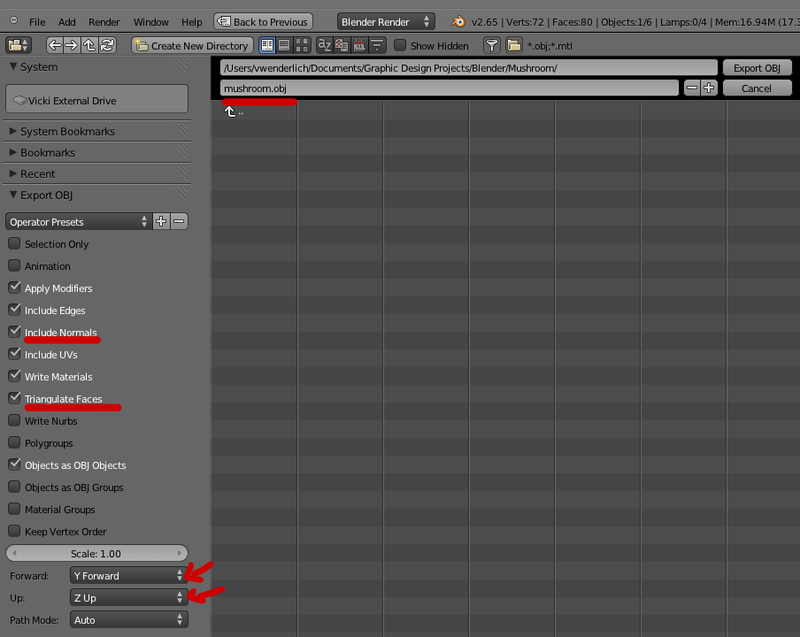 Tool Shelf: displays any relevant options for the action you’re currently performing in Blender. 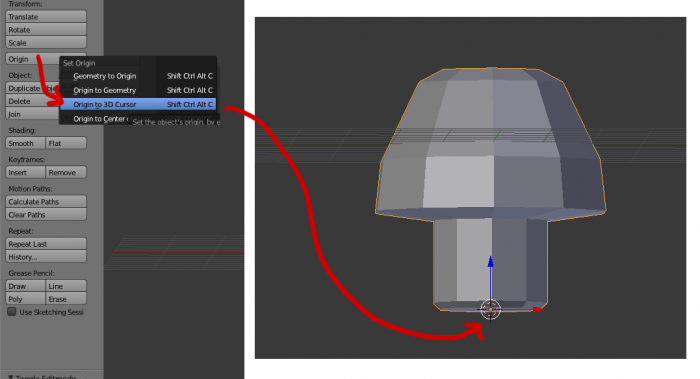 Now that you’ve received the five-cent tour of the app, it’s time to cover a few concepts that you’ll need before creating your first 3D model. 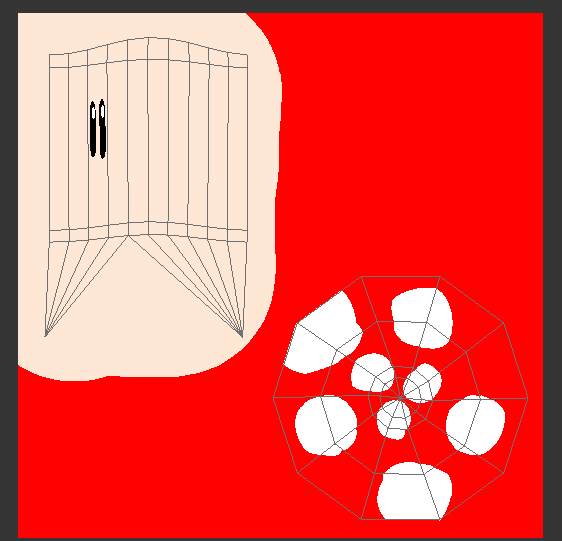 To rotate your view: hold the middle mouse button and drag around. There are two views for your 3D scene: orthographic, which means your object is drawn linearly without any perspective distortion, and perspective, which means that objects further away in your view appear smaller, and lines on your objects display perspective distortion. 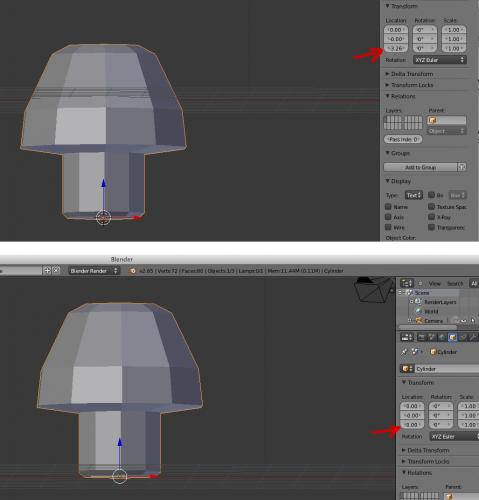 Note: Blender has earned some notoriety throughout the years due to its difficult user interface. 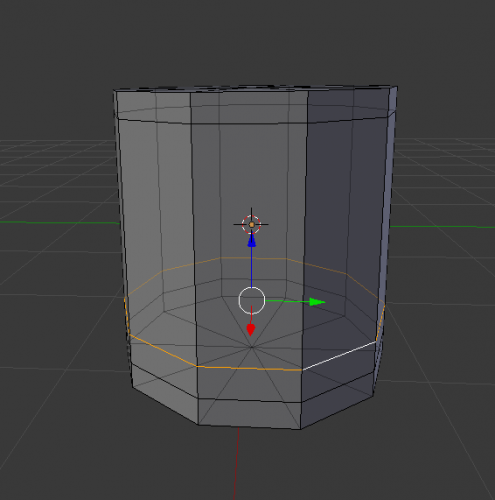 Thankfully, Blender developers have been listening to the community and have made many usability improvements, and there are efforts to make even more. However, there are still a few things to watch out for when using Blender. For example, as you may have noticed in the previous screenshot, the View menu is not accessible from the standard application toolbar; rather, it’s accessed from a Blender generated toolbar. The same is true for all other Blender-related functions. 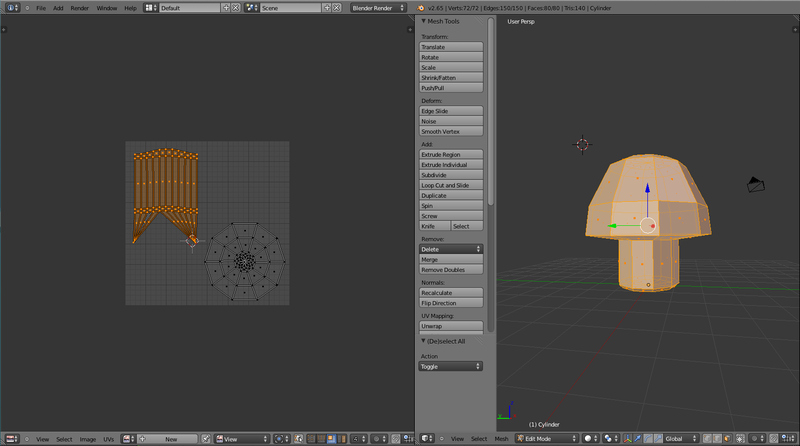 Blender works in several different modes. 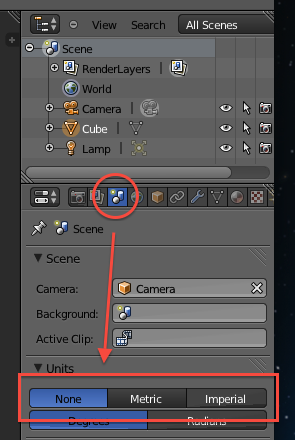 At this point in the tutorial, you’re in Object mode (which you can see in the toolbar below the 3D view), where you can add, delete, move, scale, and rotate your object. A little later on, you’ll move on to Edit mode — but for now you’ve got some work to do in Object mode. To select an object: click it with the right mouse button. 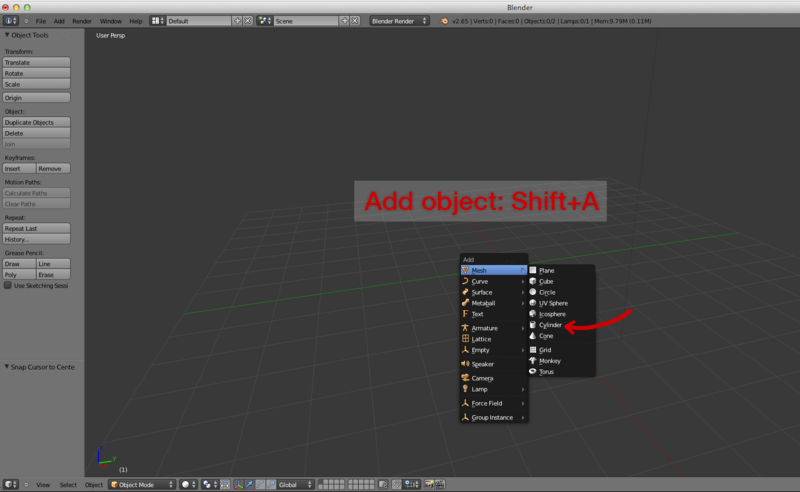 To deselect an object: shift-click it with the right mouse button. To toggle selecting all objects or no objects: press the A key. You’re here to design a mushroom, not a sugar cube, so you’ll need to get rid of the cube from your scene. If the cube isn’t selected, click the cube with the right mouse button, press the X key, and choose Delete. So your scene has been cleared, and you’re ready to add some new shapes to your scene. But how do you know where to add them? To set the position of the 3D cursor in your scene, click on your scene with the left mouse button. 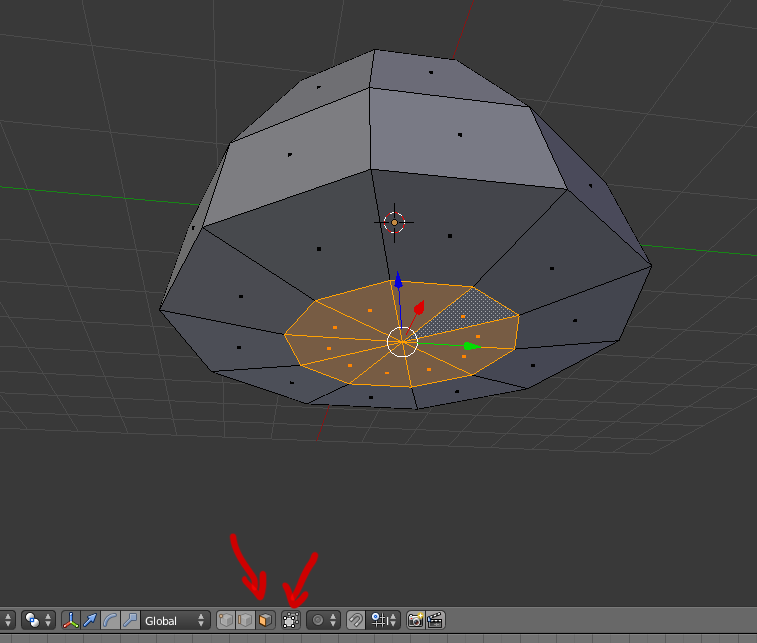 In the scene above, the 3D cursor is not set to the center of your scene; it’s down and off to the left somewhere. 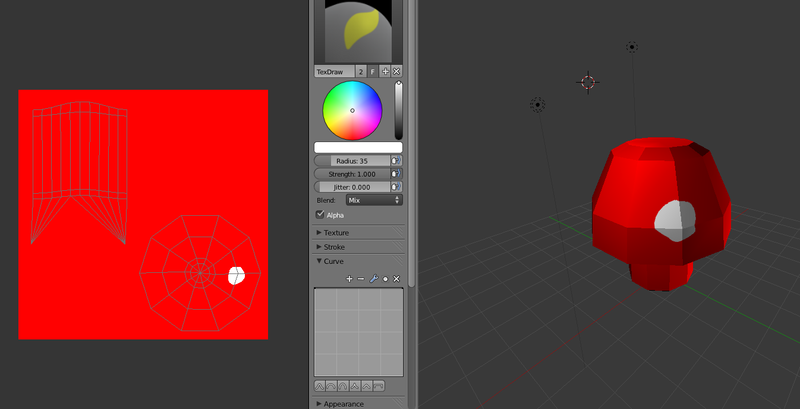 You’ll need to draw your object centered in the view, so you’ll need to move the 3D cursor back to the origin. You could try to click on the origin with the mouse, but there’s an easier way. 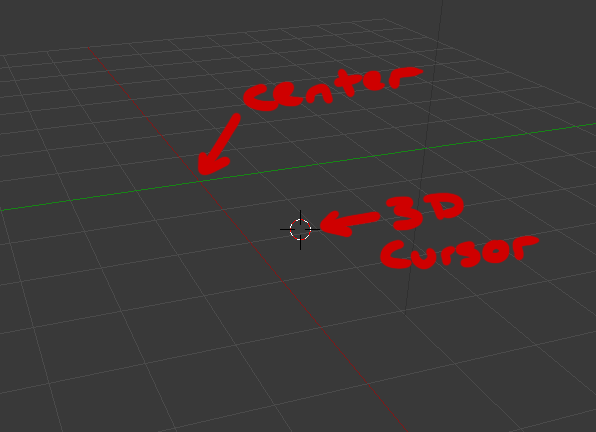 To reset your 3D cursor to the origin, choose Object > Snap > Cursor to Center; if you’re a fan of keyboard shortcuts, hit Shift + S > Cursor to Center. 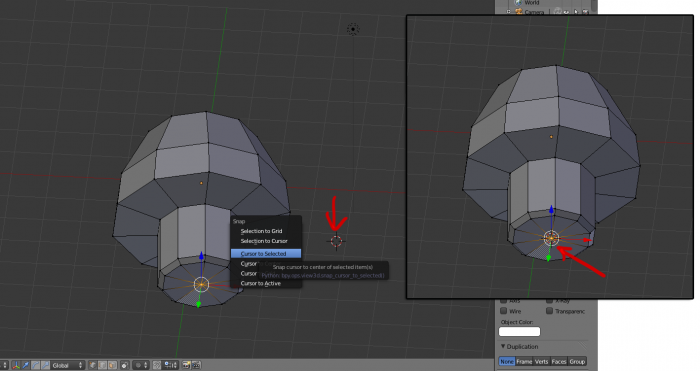 Now that your 3D cursor is at the origin, press Shift-A to display the “Add” menu. Select Mesh, and you’ll be presented with all types of shapes that you can add. 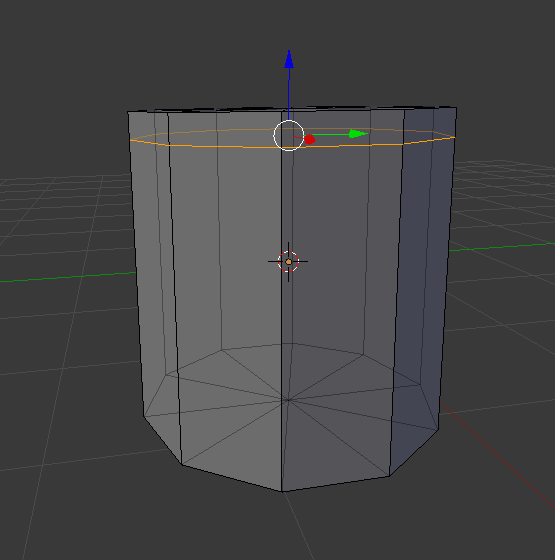 Now that you have a cylinder in your scene, check the left-hand panel to see which options are available to edit your shape. These only appear immediately after you add the object and before you’ve done any other editing, so now’s your chance to get the settings right! 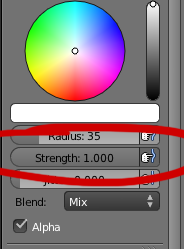 You can either click the field and type in the values, or you can scrub back and forth with the mouse to set the values. In Object Mode, you can transform the entire object by moving, scaling, or rotating it. 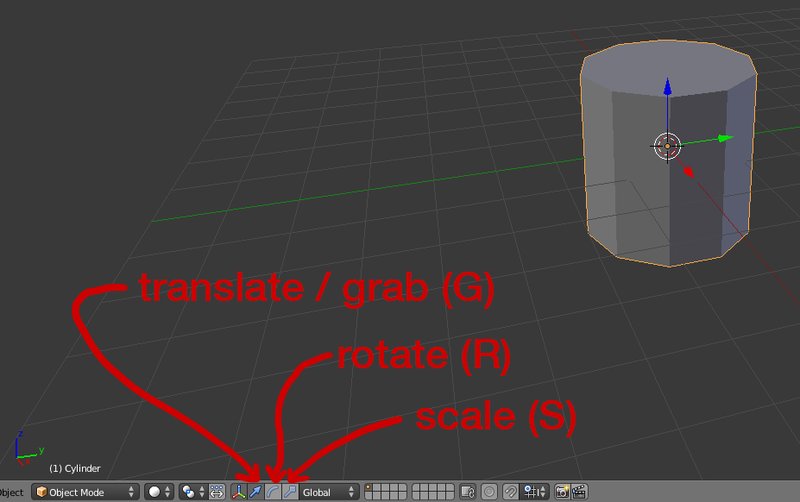 There are three ways to transform objects: using the shortcut key, using the transform handles, and using the transform panel. To use the shortcut keys to transform the object, first ensure the object is selected. Next, press the appropriate key to begin the action, and then move the mouse to start the transform. The further you move the mouse, the greater the magnitude of the translation. You can constrain transforms to a particular axis by pressing X, Y, or Z. 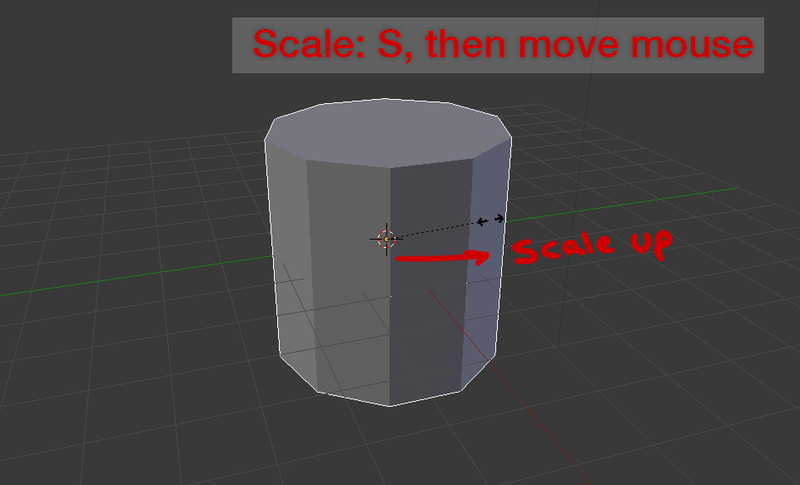 Therefore if you only want to scale along the Z axis, press S (then release) and then press Z (then release). You can only constrain to one axis at a time. To accept the changes, click the left mouse button; to discard the changes, click the right mouse button. 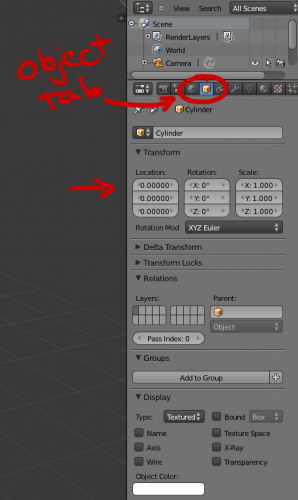 If you’ve accepted the changes, but then change your mind, Blender provides the good old Command-Z keystroke to undo your last action. Click the blue arrow on your object with the left mouse button, and drag up with your mouse. You should see the object translate along the Z-axis. Undo this change by pressing Command-Z. 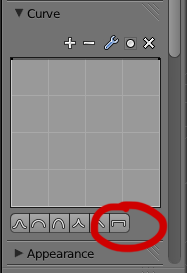 Next, click the Scale manipulator icon. 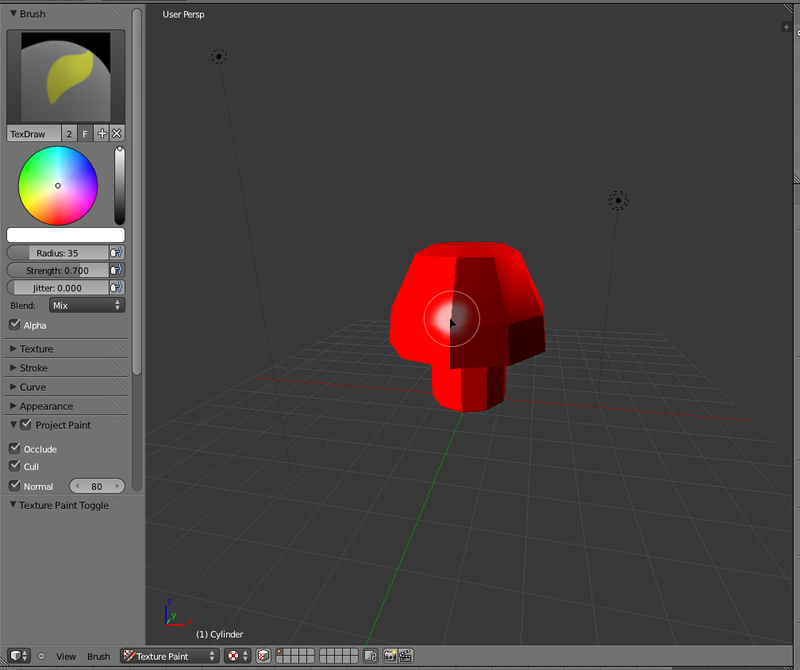 Click the red arrow on your object with the left mouse button, and drag it around. Note that your object only scales along the X-axis. Undo this change as well with Command-Z. The Rotate manipulator works the same way. The third method of transforming — editing the object properties directly — offers the most control; you can use this method if you need very specific control over the shape and size of your object. 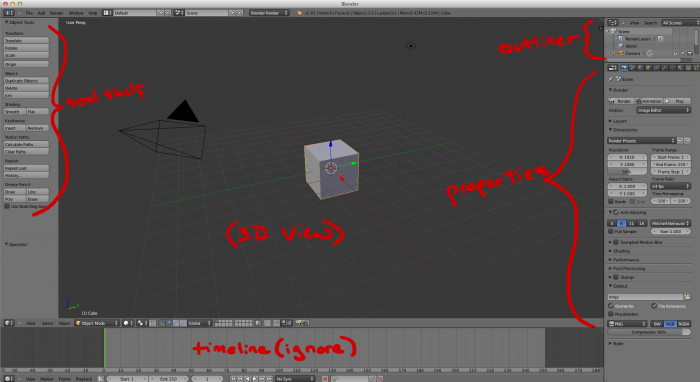 A note about measuring distance in Blender: distance in a 3D space is entirely relative. Blender measures distance by using Blender Units which corresponds to one grid space in the 3D viewport. 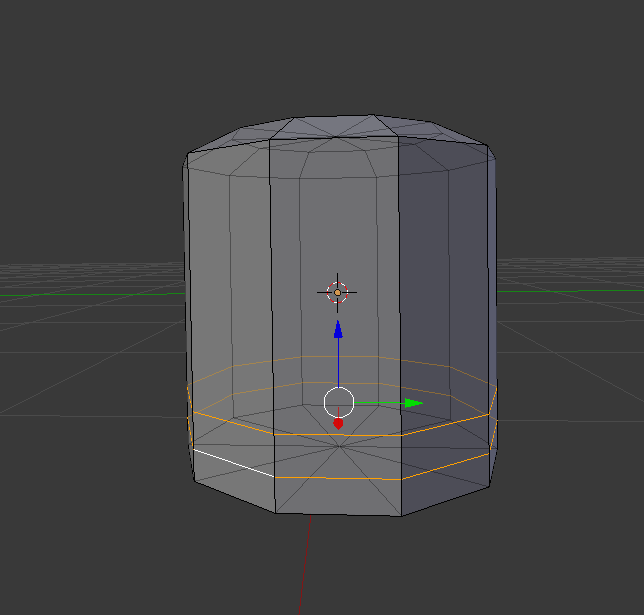 For the purposes of this tutorial, any instructions involving measurements are given in Blender Units. That covers most of what you can do in Object Mode. 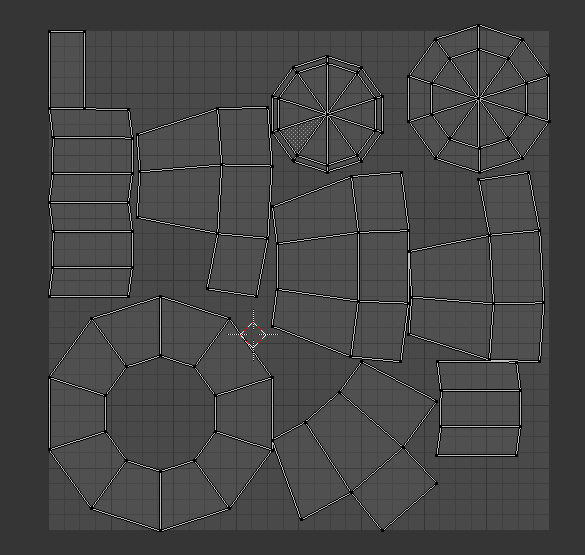 Now it’s time to edit the vertices, edges, and planes of the object — you’ll do that in Edit mode. To enter Edit mode, select the object to be edited and press Tab. At the moment, you’re in Vertex mode, with everything in your object selected. Press the A key to deselect everything. 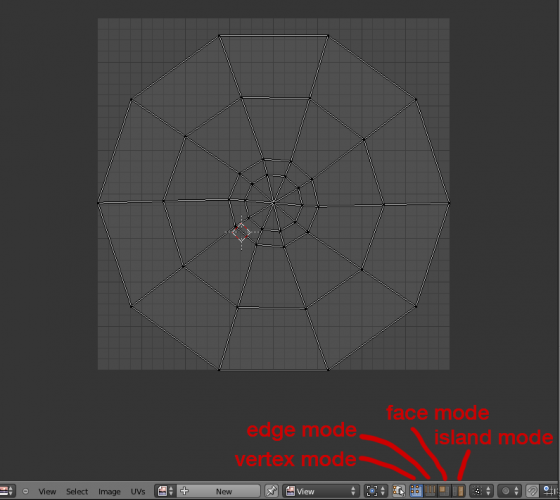 Move your mouse over a vertex and select it with the right mouse button. 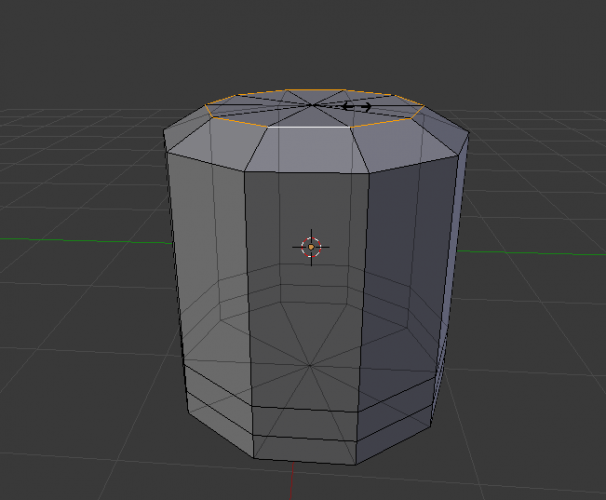 Hold down Shift to select multiple vertices. Press A again to deselect everything. At the moment, your object doesn’t look much like a mushroom, does it? 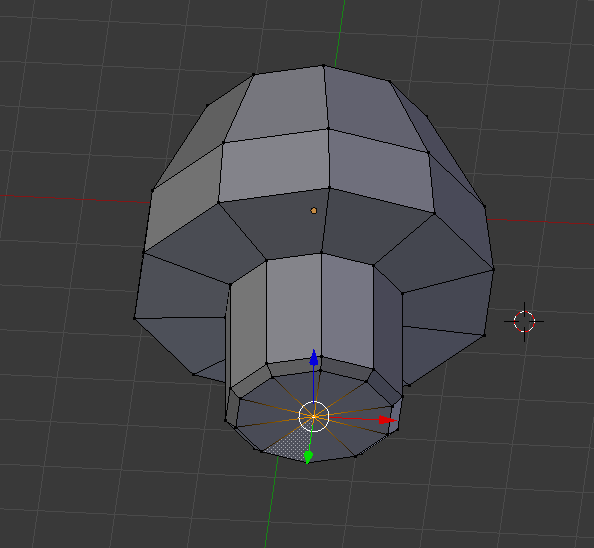 Before you can deform your cylinder to look like a mushroom, you’ll need to add a few more segments to your object. 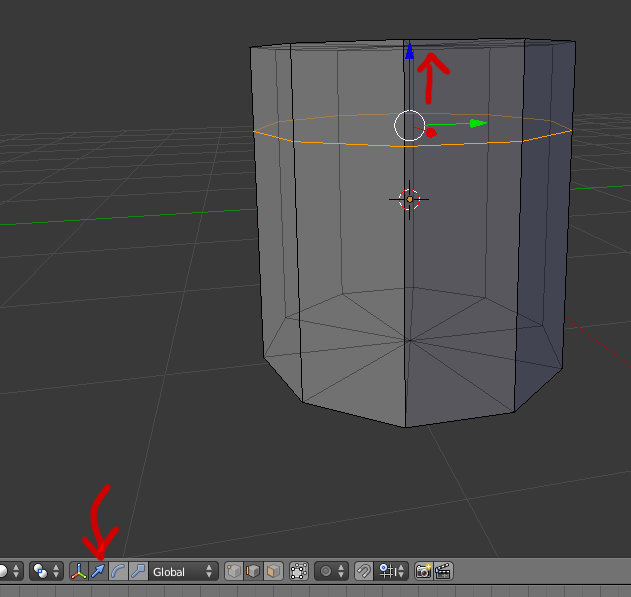 Move your mouse over your cylinder, and you’ll see a purple edge ring show up midway down the cylinder. 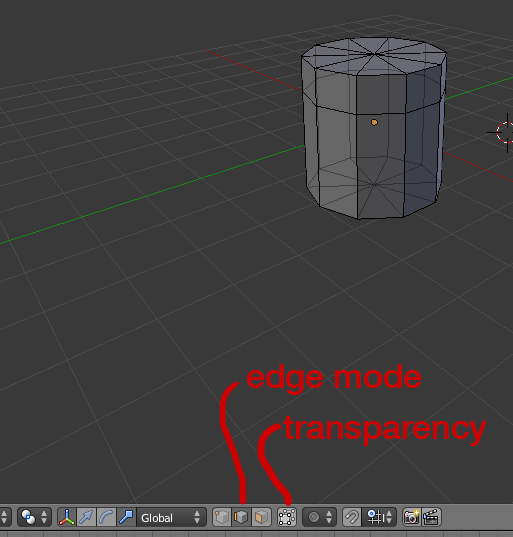 This puts you in Edge mode where you can select the edges of your objects; turning on transparency mode lets you “see through” your object so that you can see all of the edges. You could select the edges to be moved by clicking them with Shift+ right mouse button, but that can be cumbersome when you’ve got a lot of edges to select. 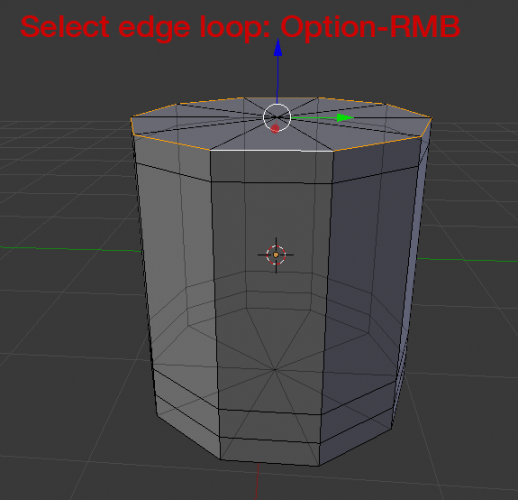 Fortunately, there are three options for selecting edges. 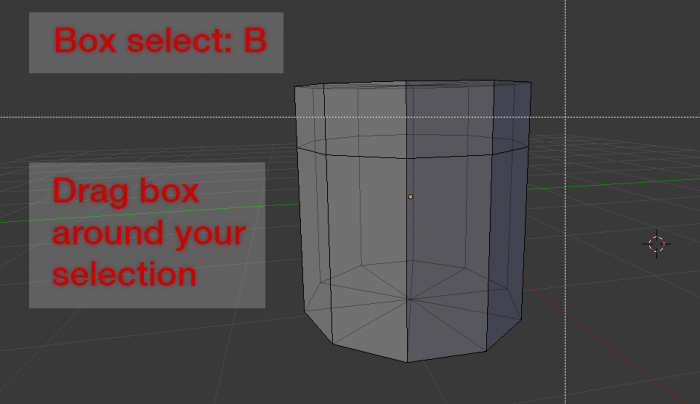 Box select allows you to draw a box around the items you want to select. 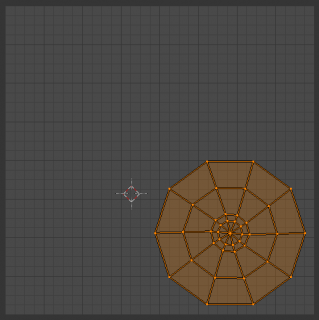 Move the view around the object to make sure you got all of the edges you wanted to select. If not, Shift-select the remaining edges. 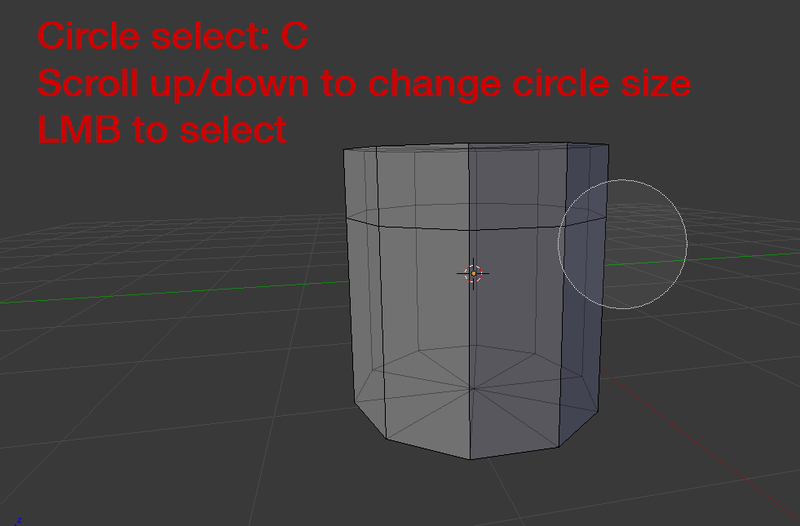 In addition to Box Select, you can use Circle Select, which is just as it sounds: selecting with a circle instead of a box. 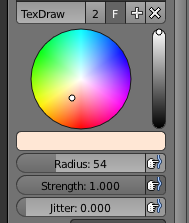 Once your circle encompasses the edges you wish to select, click the left mouse button to select them. Now press the left mouse button to select . You can continue to left-click to add to your selection. When you are done, press the right mouse button to exit circle selection mode. 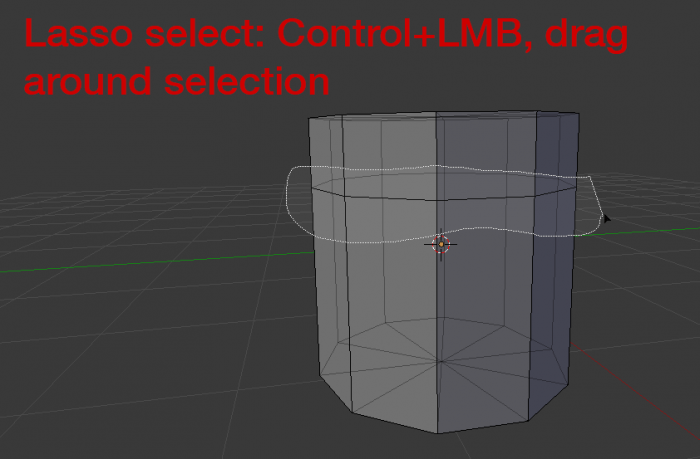 Lasso select is probably the option that you’ll find most useful. Now that you have your edge loop selected, it’s time to move the edge loop a little further up your cylinder. Transforming edges, vertices, and faces is very similar to transforming the entire object: you can do it by using the transform handles, the shortcut keys, or the properties panel. 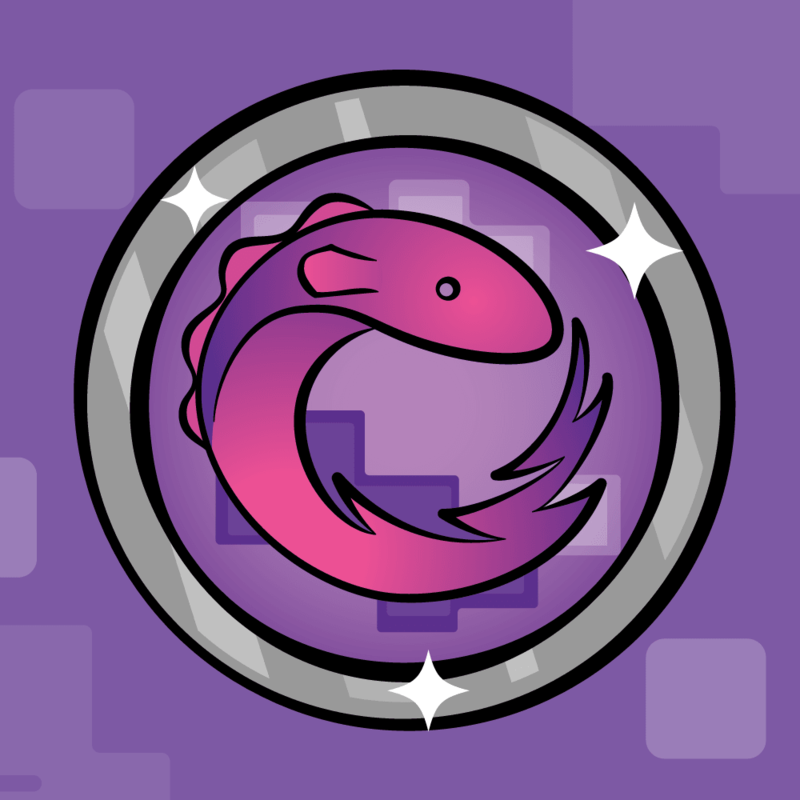 The other two icons are for Rotate and Scale. 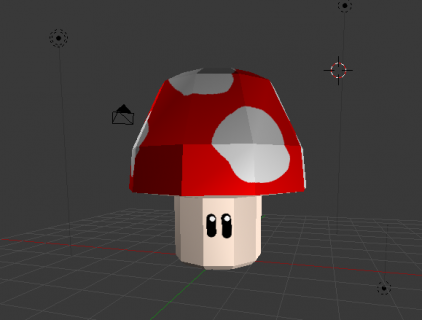 Now it’s time to alter the edges and faces to create the top of your mushroom! Click the left mouse button to to confirm the transform. Be careful to to select only the very bottom edge of the cylinder. Click the left mouse button to confirm the transform. Your mushroom head is looking pretty good; but every good mushroom needs a stalk! 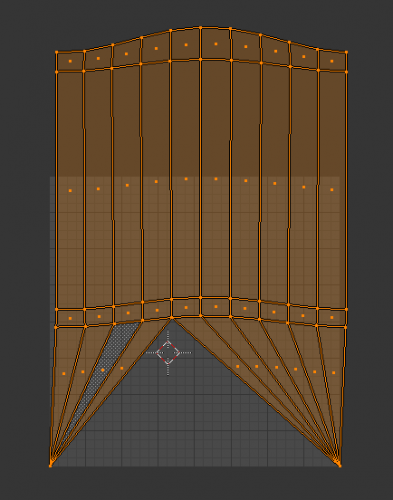 You’ll do this by using the extrude feature. Move the view around so you can see the bottom of the mushroom head. If you need to pan downwards, hold down Shift while scrolling. Now scale the faces inward. Can you remember how? You’ll need to move your mushroom upwards a little bit to have it sitting properly on the XY plane. 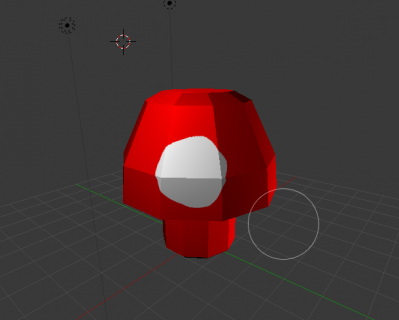 In order to get it placed properly, you will first place the 3D cursor at the base of your mushroom (at the center of the bottom of the stalk), and then move the object’s origin to the 3D cursor location. Now press Shift-S and choose Cursor to Selected. 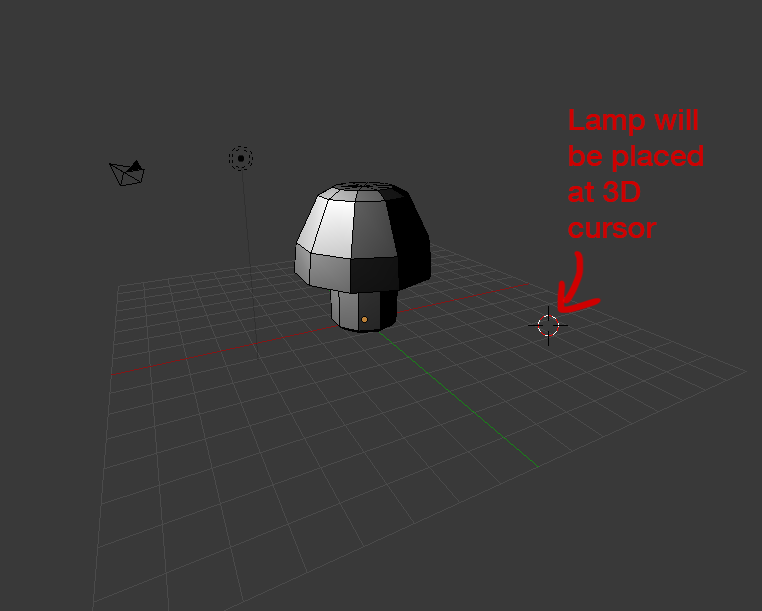 The 3D cursor will move to the vertex that is selected. Hit A to deselect all. 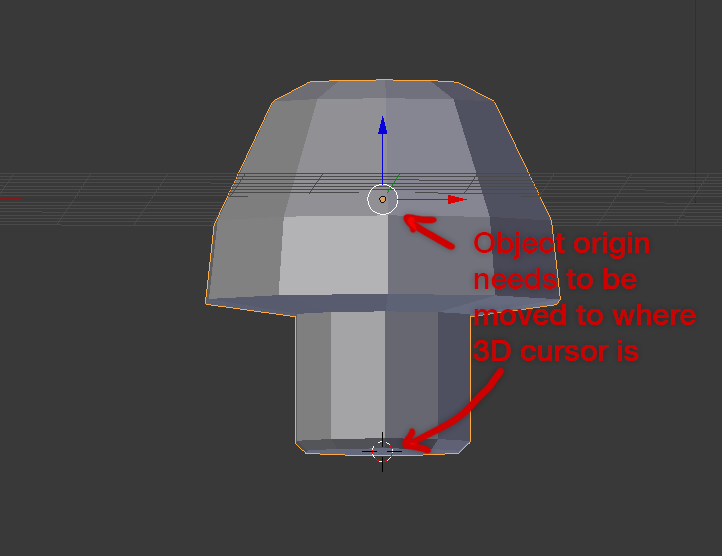 You want to move the object origin down to the location of your 3D cursor. Go to the tool shelf and choose Origin > Origin to 3D Cursor. 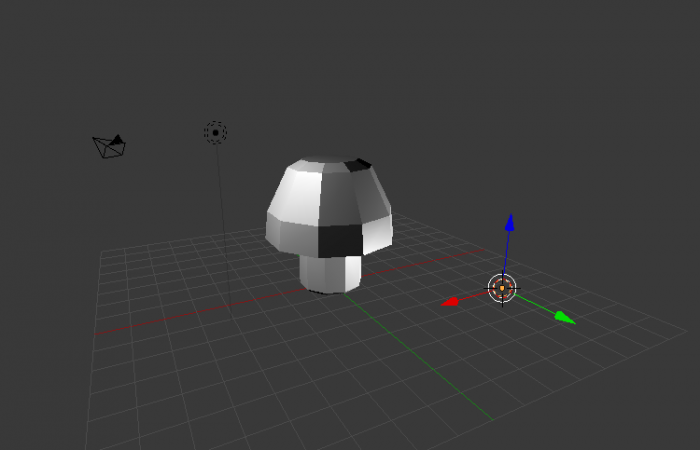 Now you can move the object by placing its origin at the coordinates (0,0,0), which will put your mushroom’s base squarely on the XY plane. Don’t forget to save all your hard work! 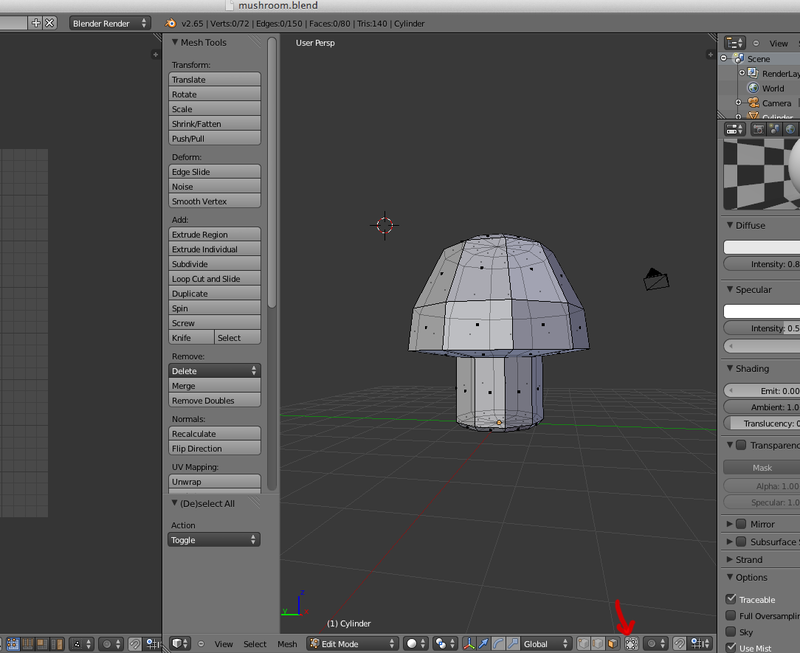 Go to File > Save, or simply press Command-S; choose a location, name your project “mushroom”, then hit enter twice or click Save As Blender File. Hit Enter to confirm the name change. There are lots of ways you can change your material, but you’ll just leave it as-is now, since you’ll be painting on the color later in this tutorial. 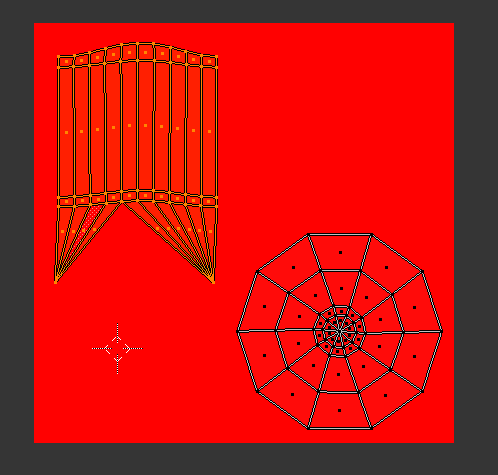 The next step is to “unwrap” the mesh so that you have a flat “canvas” to paint on. This is much like peeling an orange and laying the peel down flat on a table. 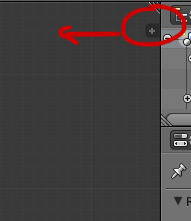 You can only unwrap the mesh in Edit mode, so switch to Edit mode now (by pressing tab). Drag out a new window by clicking the triangle at the top right of the window and dragging it to the left. You’ll need two windows for this operation because you’ll need to see your texture image while looking at your 3D object so you can see how the 3D object looks as you paint the texture. 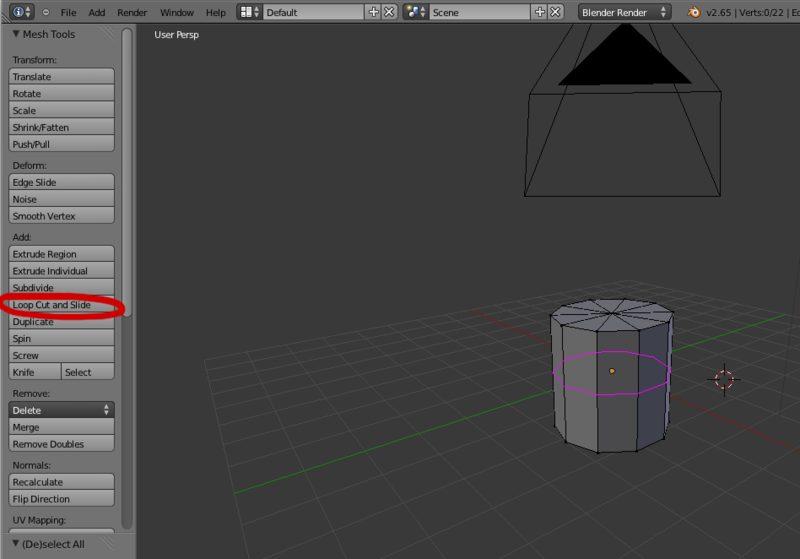 Right now the UV editor is blank, because you haven’t yet unwrapped your mesh. Go back to the right-hand window, and hit A to select all. Choose Mesh from the bottom toolbar of the 3D view, choose UV Unwrap > Smart UV Project, and select the default options when the popup appears by clicking OK. 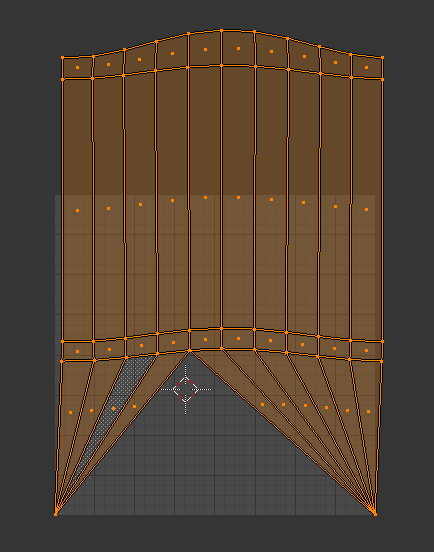 The way this mapped out, your mesh isn’t very easy to paint on. 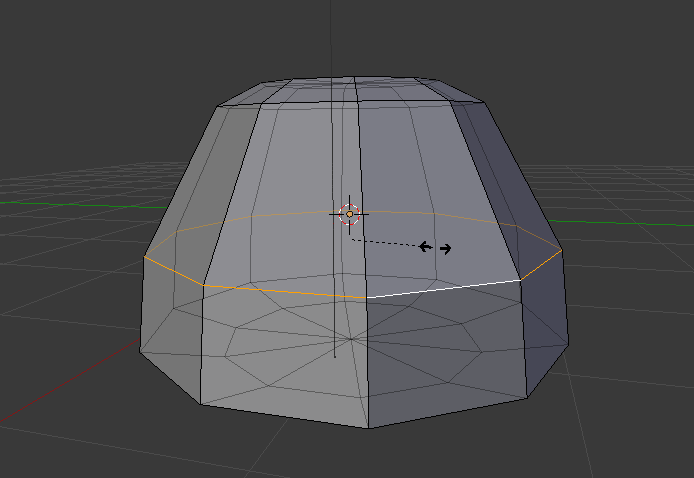 The good thing is, you can tell Blender to unwrap the mesh differently for different faces! Ah — that looks a lot easier to edit. 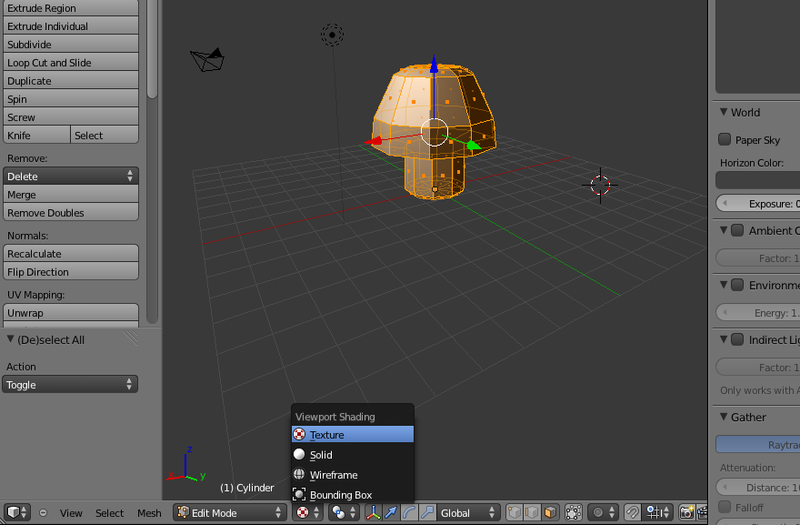 You can edit the UV mesh in the same way that you would edit the object in Edit mode in the 3D viewer. Select faces, edges, or vertices, as well as islands (an entire group of faces) by choosing the appropriate mode and selecting with the right mouse button. 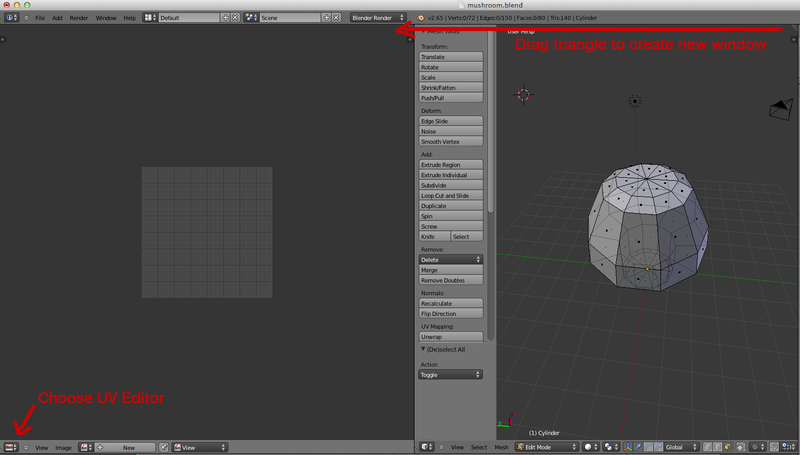 Once the desired mesh items have been selected, press the shortcut key (G, S, or R) for the transform you wish to use. 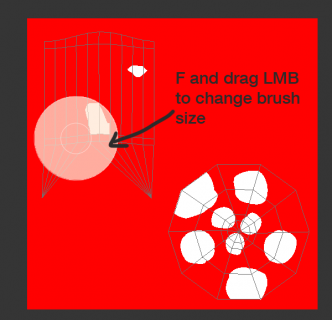 Give it a try by scaling down the mushroom head island mesh so it takes less of the space available. 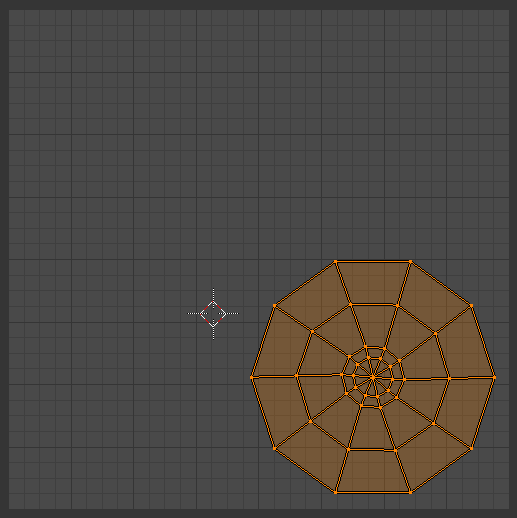 Now that you have unwrapped the mesh, you need to add an image for the mesh to be mapped to. 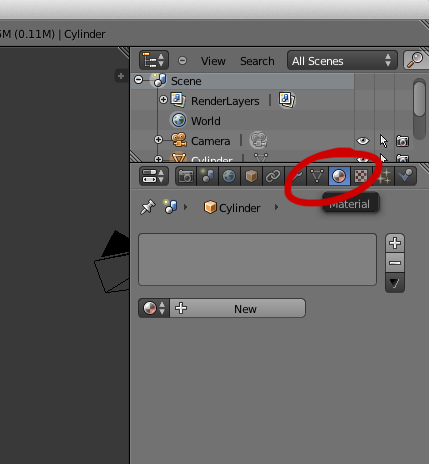 Go back to your 3D window, and click on the Display icon in the bottom toolbar. 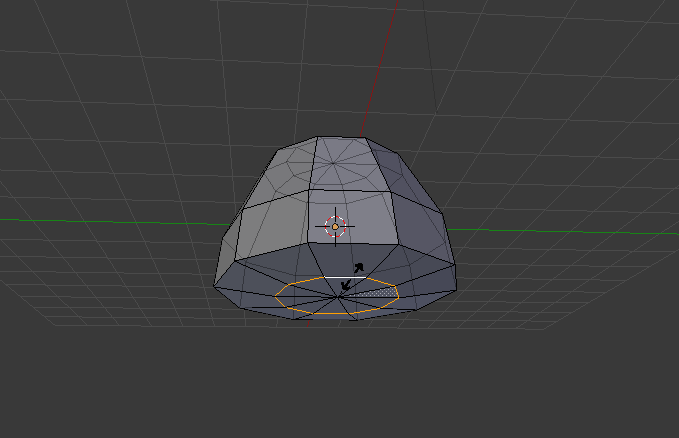 It’s currently set to Solid, but choose Texture instead. 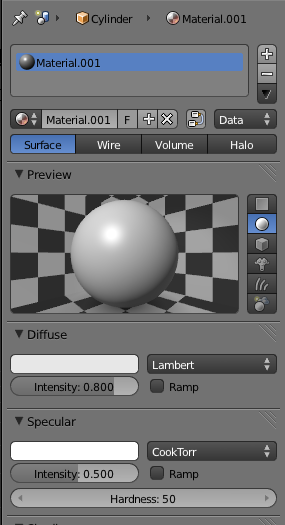 Now the 3D view will display your texture as you edit it so that you can see the result of what you are doing. Note that some of your mushroom’s faces are black. That’s going to make it hard to see the colors as you apply them. 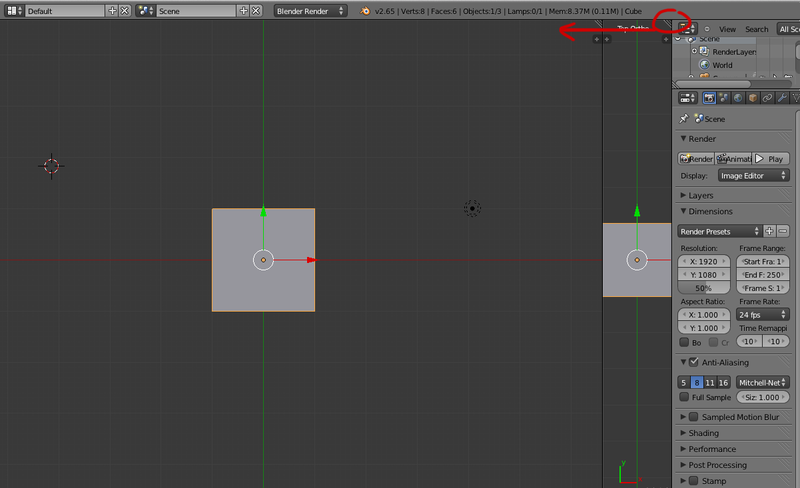 The contrast is so severe because there is only one light in the default Blender scene. 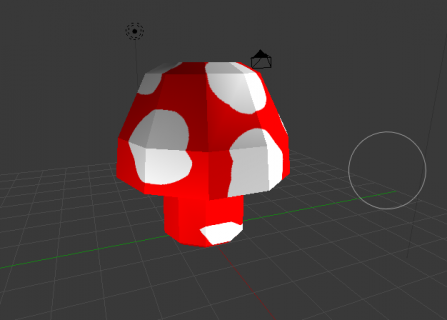 You need to place more lights around your mushroom so that you can see it better. 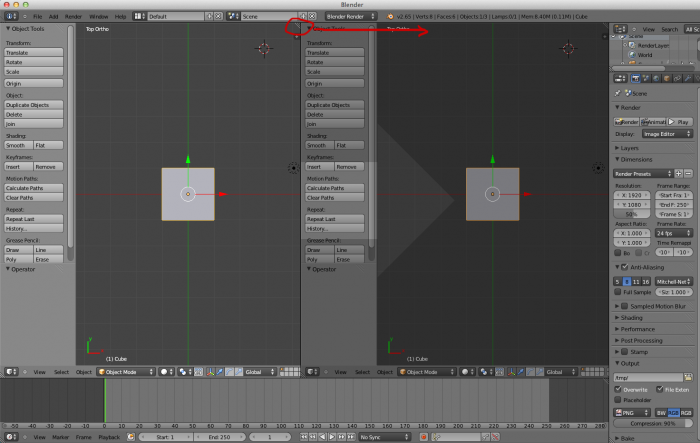 Hit Tab to go back to Object Mode; lamps can only be added in Object Mode. If you move your view around, you’ll see that there’s still a problem area — the dark side of the mushroom. (Now THAT would have been a great name for a Pink Floyd album! :]) It generally takes three or four lamps to light a scene well enough to see all the way around an object. Place your 3D cursor in the general area behind your mushroom, and place a new lamp in that area by using Shift-A, then selecting Lamp > Point. Move the lamp so that it lights up the back of the mushroom. Now, add a fourth lamp below the mushroom so that the bottom is lit up. 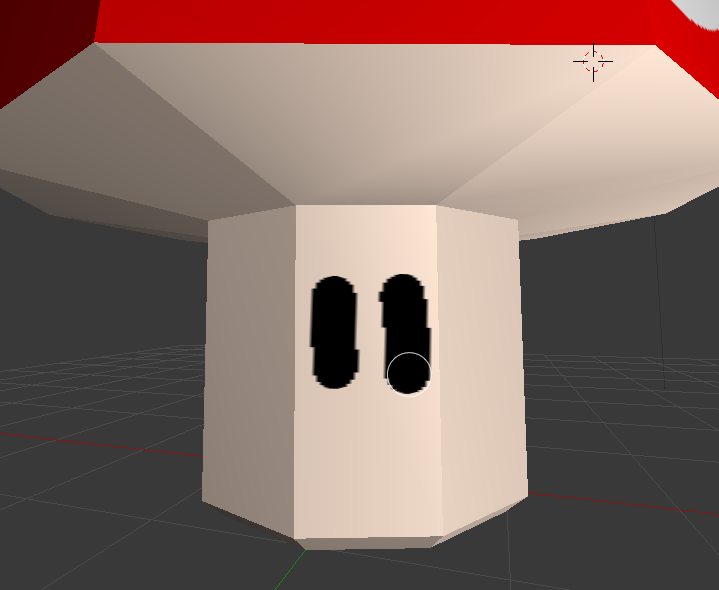 Tweak the position of all four lamps so that the majority of the faces of the mushroom are no longer black. Now you’ll be able to see what you’re painting! 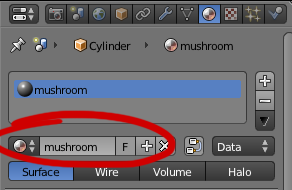 Select your mushroom again with the right mouse button and press Tab to switch to Edit mode. 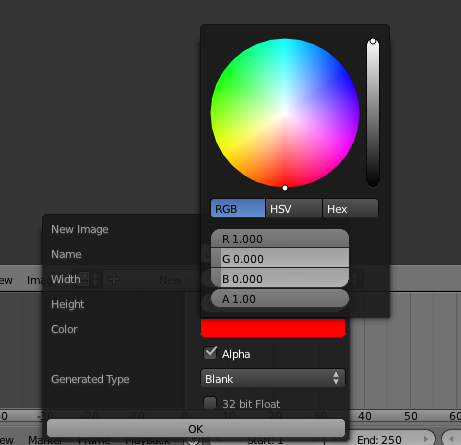 Press A to select all, and you will see your UV show up on the UV Editor. Click OK to save your color setting. You’ve got the red for the top of the mushroom – now you need to paint the other colors on to the mushroom. Yay, a dot! 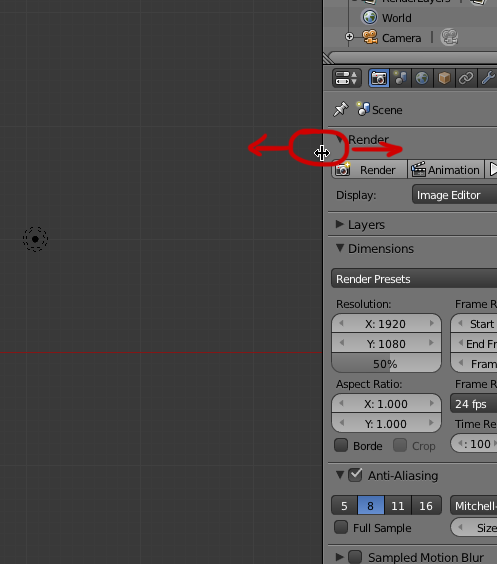 Notice that your dot also shows up on your UV image in the UV Editor. This is a nice start, but you want the dot to be a little larger. Undo using Command-Z, and change the brush radius to about 45. You can either type in the value, or scrub with the mouse to change the number. You can also mouse over to the mushroom (so that your cursor shows the brush size), press F, then drag the circle size in or out. Click the left mouse button to accept the new brush size. Now move your view around so you can see another face of the mushroom: click and drag your view with the middle mouse button until you have the view positioned as you wish. If you zoom in and out, you will see that your brush size does not change. This means that if you zoom in and paint a dot on the mushroom, your white dot will be smaller than the previous one. If you zoom in, be sure to increase your brush size accordingly! Don’t worry about getting white on the stalk of the mushroom – you’ll be coloring the stalk later. Finally, you need to paint the eyes on the mushroom. 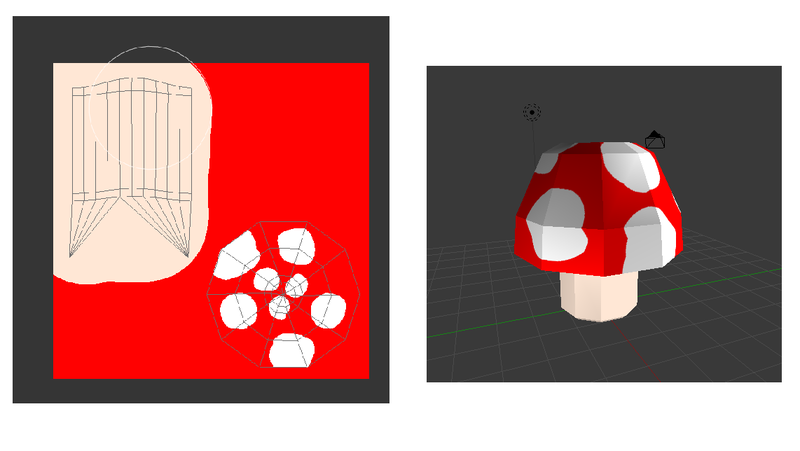 It would be easiest to paint them directly onto the mushroom, so return to the 3D view. Zoom in and decrease the brush size using F and drag the circle smaller with the left mouse button. Finally, change the brush color to black. The last thing you need to do is export your masterpiece so you can use it in your game. 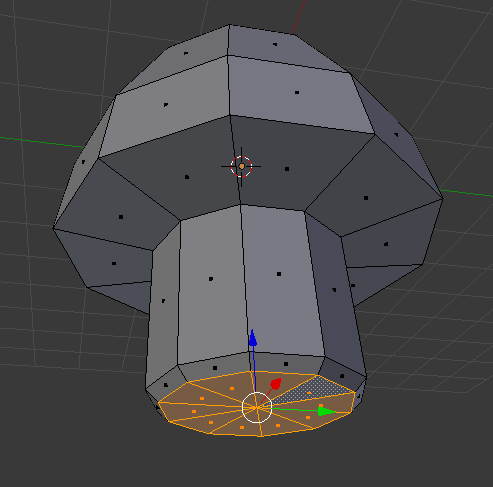 The .obj file for the object data. The .mat file for the material information. 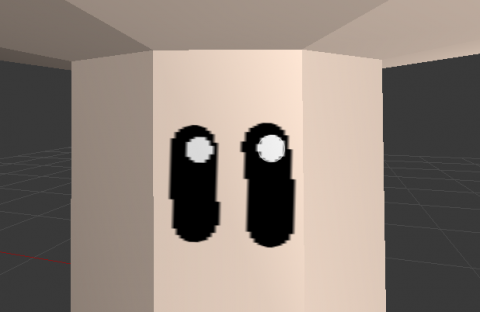 The .png or .jpg for the texture. 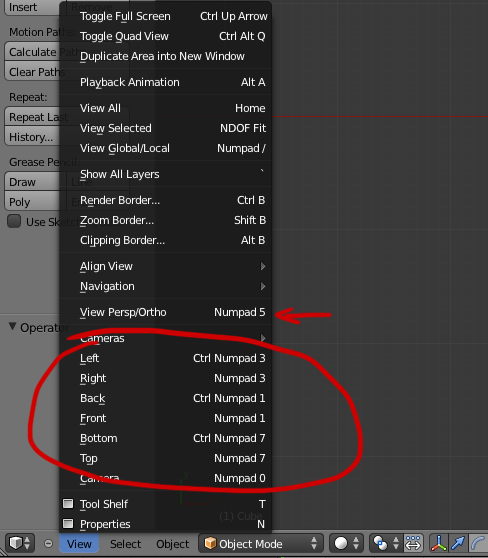 Before you export, make sure everything is named the way you want it – it helps to name everything the same, as you’ve done in this tutorial. Be sure to check that the Material, Image, and Object have all been named the same. 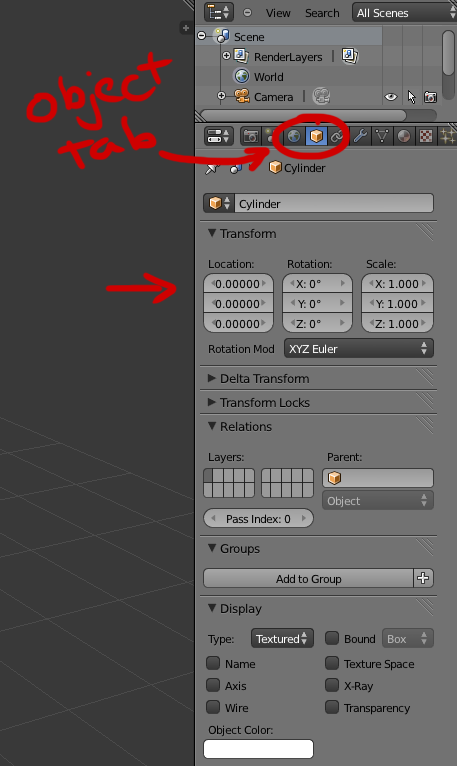 The only thing you haven’t renamed yet is your Object, so head over to the Outliner panel and double-click “Cylinder” to rename it. Call it “mushroom” and hit Enter. Okay, looks good! Save your image again to make sure it is up to date. Go over to the UV editor, click on Image, and choose Save As Image. Give it a name, and save it as mushroom. Save your Blender file at this point too. You’re now ready to export! 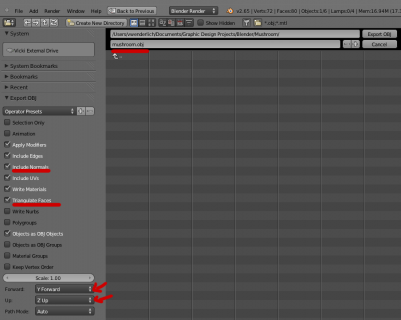 Go to File > Export, and choose Wavefront (.obj) This will save both the object and material files. Name the file “mushroom“. 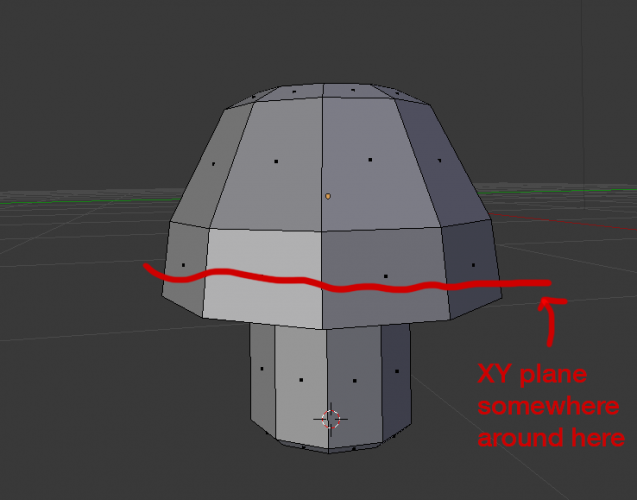 This is required because in the 3D-view you will be using in your game, the positive Y direction is like looking “forward”, and the positive Z direction is like looking straight up into the sky. 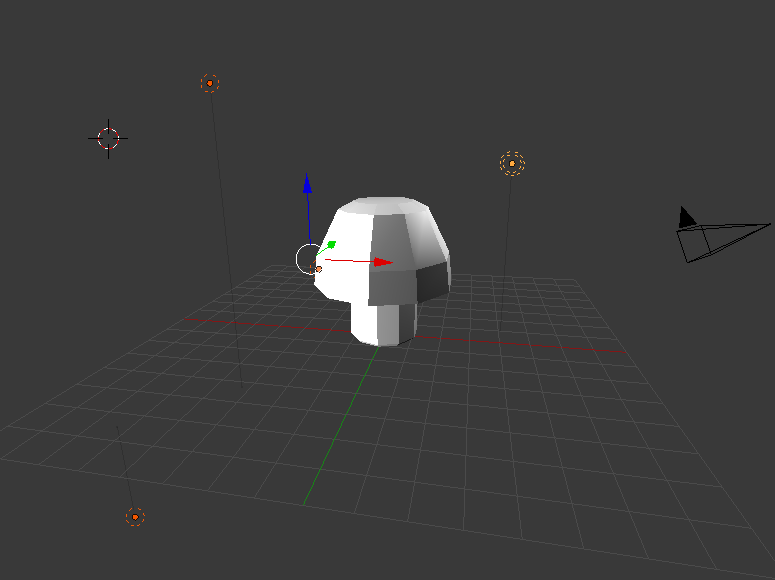 Congratulations — you have created a cute creature entirely from scratch, and exported the files so that you can use them in your game! 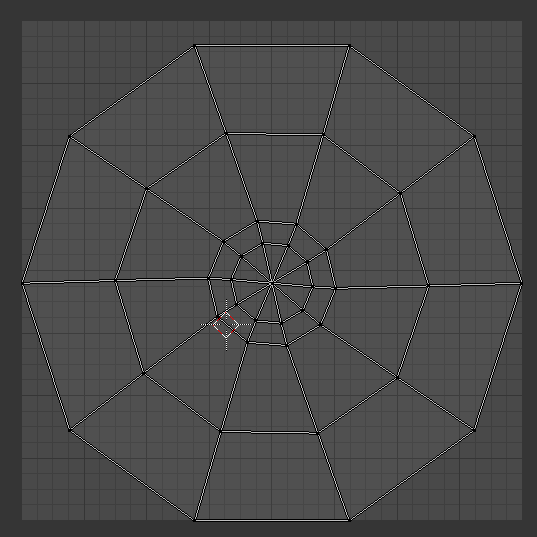 You can use this same process to make many simple characters and objects. 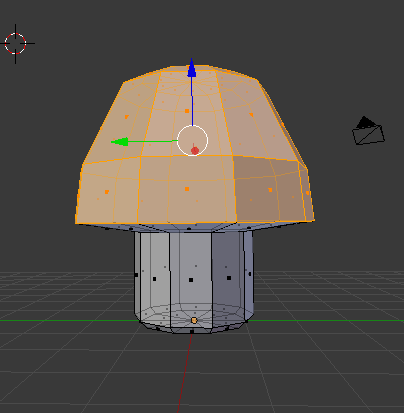 You can get the completed Blender files here, if you would like to compare them to your own files, or just to see what the finished files look like. 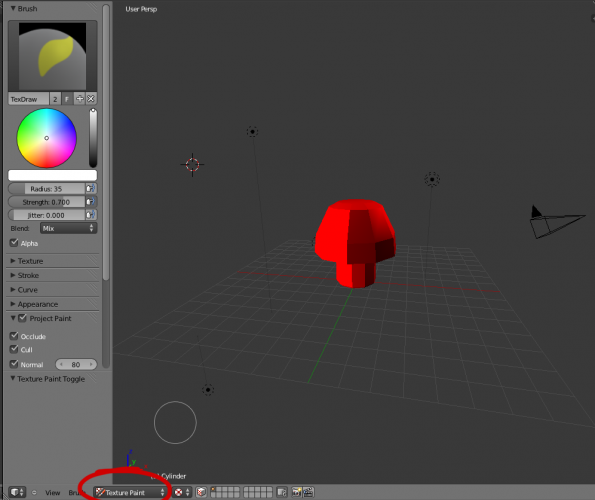 Blender Tutorials – from the official Blender site; they have a great Getting Started section. 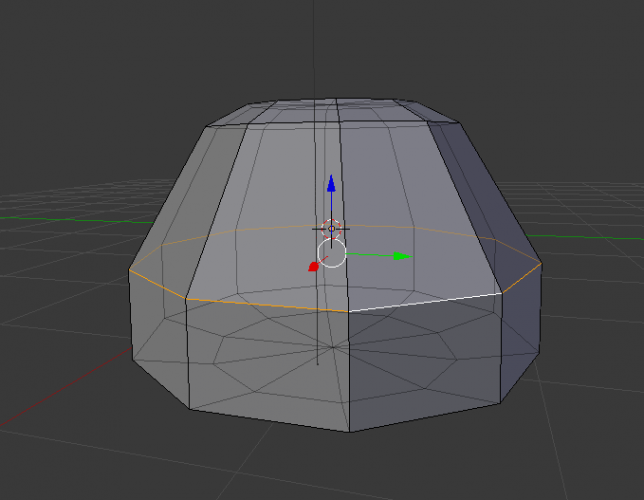 Blender Basics – another good introduction for beginners. Beginner Blender Tutorials – Specifically of interest are the ones about How to Edit Objects and How To Use Modifiers. 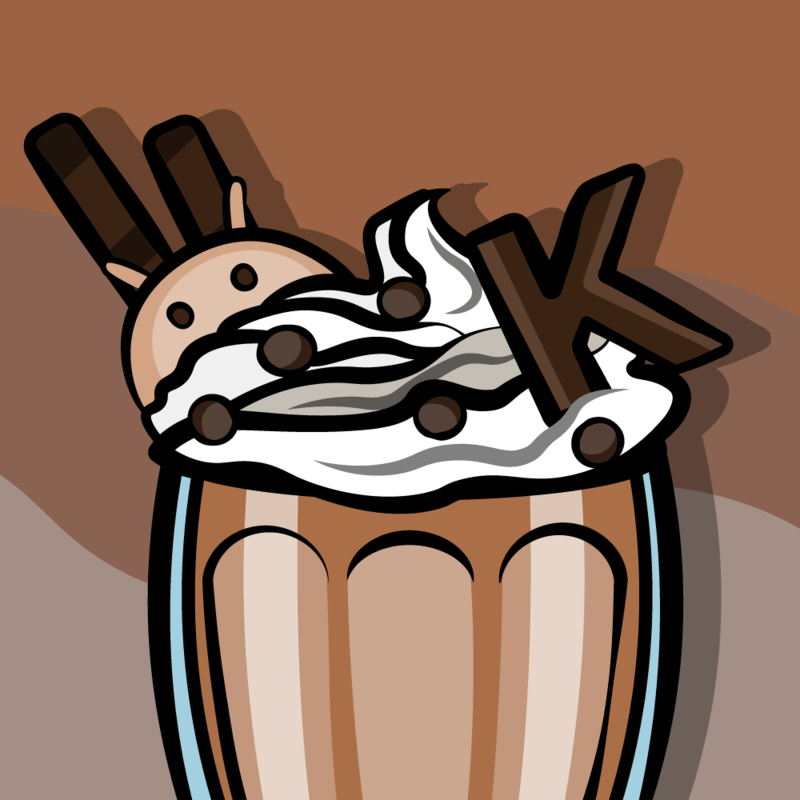 If you need more, check out the Blender wiki. 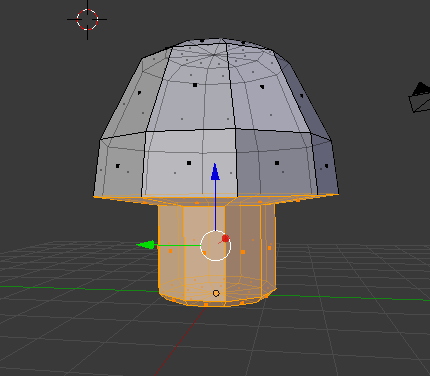 It’s sometimes hard as a beginner to find exactly what you are looking for, but I found that in general if I Googled my issue, I ended up at the Blender wiki. 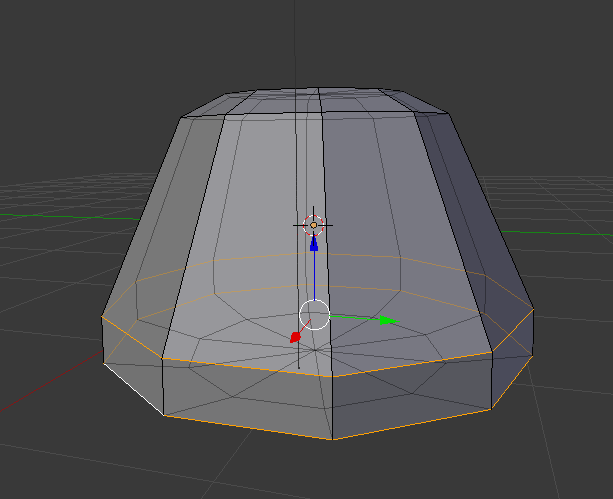 Also, make sure to keep checking back here for future Blender tutorials. If you have any questions or comments, be sure to raise them in the forum! Go forth and conquer the 3D game world!